My makeup and skincare stash tripled this past weekend...and it’s all thanks to Ipsy Generation Beauty. 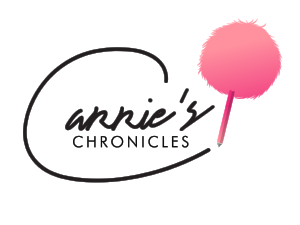 Ipsy is a monthly subscription service ($10/mo) that provides subscribers with five cosmetic samples. 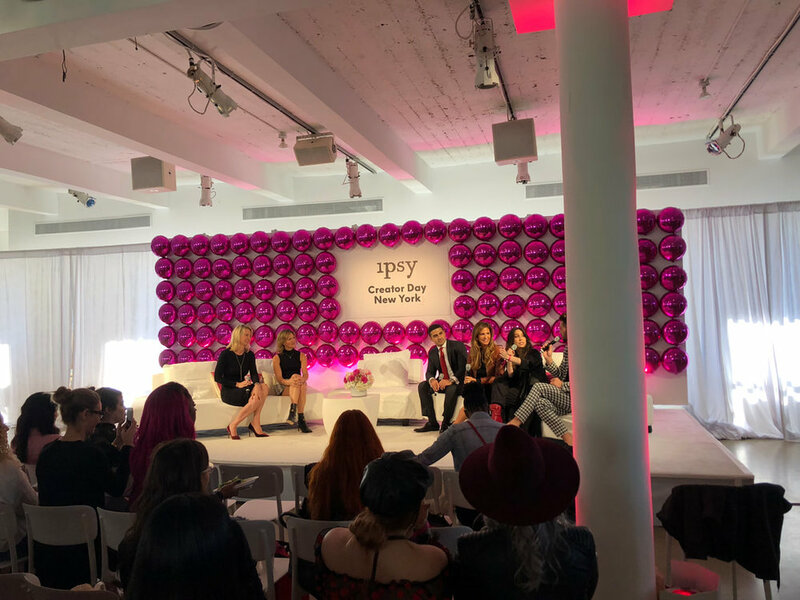 Although the Ipsy box that arrives in my mailbox every month is pretty small, their Gen Beauty Event last week was certainly of a much larger scale. The weekend kicked off with Creator Day, an invite-only event featuring workshops, panels, and brand booths. 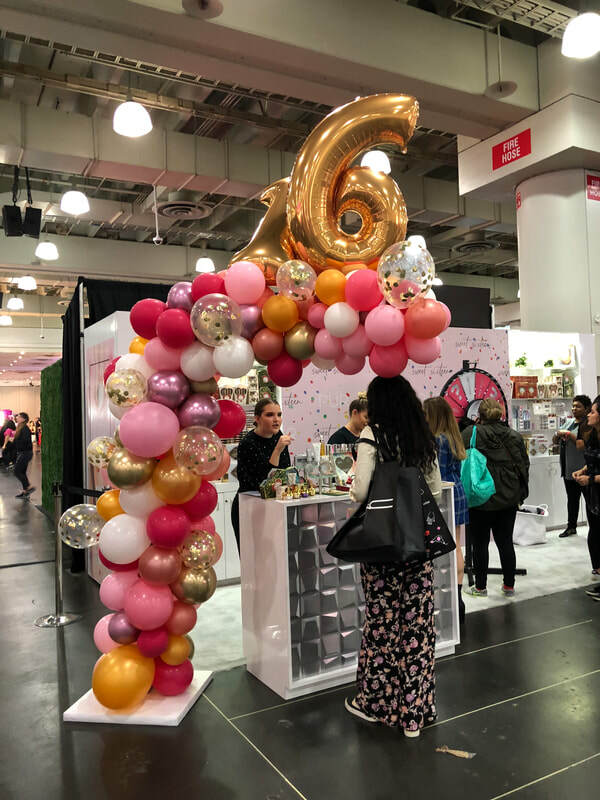 The first table I stopped by was Covergirl, where I was given a special tarot card reading. 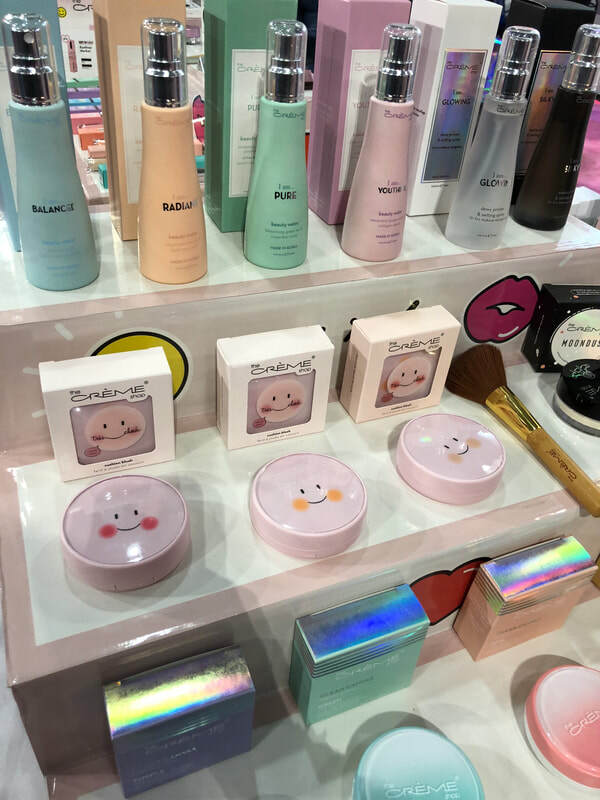 Representatives from the brand asked me about my favorite beauty products before presenting me with a makeup kit to match my fortune. Wearing a Sugar + Lips romper, Patricia Field bag, and Steve Madden booties. I have always been a fan of COOLA, so I was thrilled to see that they had a booth at the event as well. Guests were given the opportunity to drop a token down a wall (a la The Price is Right) and receive whichever product it landed on—the mango scented sunscreen I won is surely a keeper. 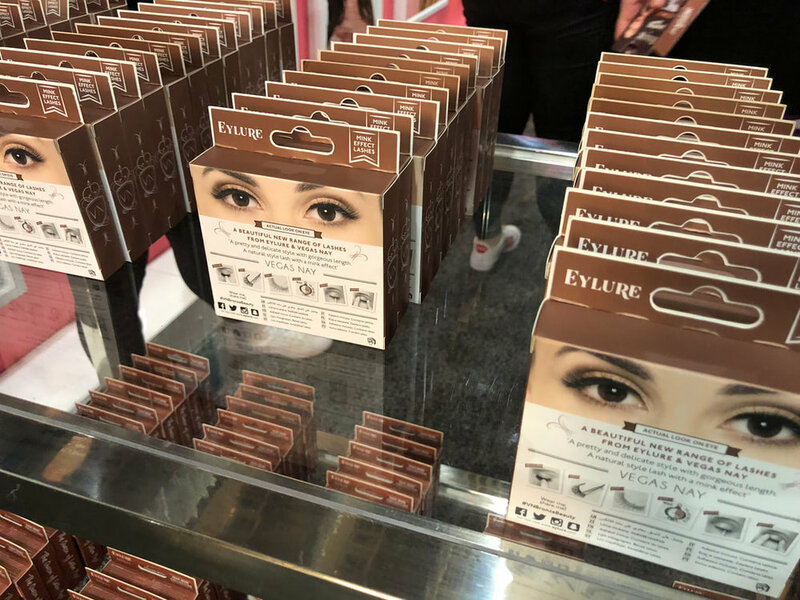 At Doucce’s booth, attendees lined up to build their own palette filled with eyeshadow, blush, and highlighter...free of charge! 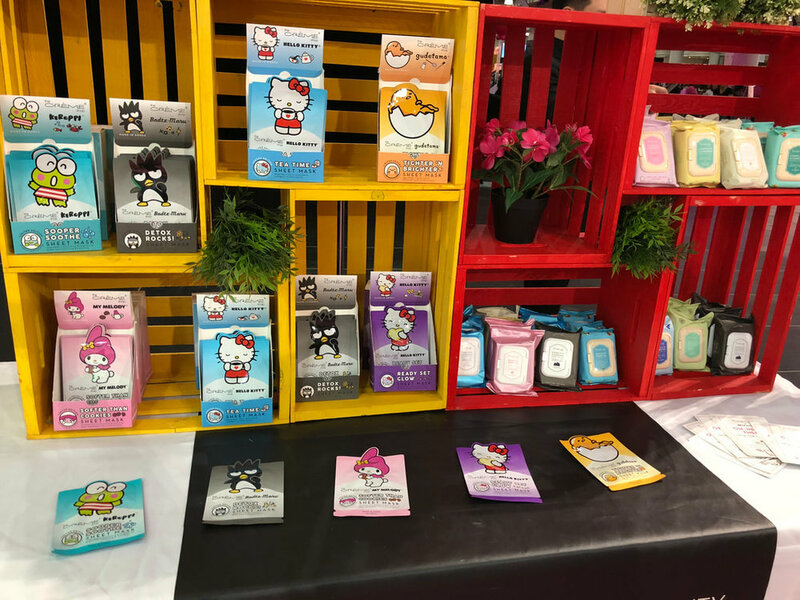 But it wasn’t just beauty vendors there promoting their brands—the ASPCA was just as popular with its posse of adorable pups. My heart melted as I held one that was up for adoption, with pointy ears and an adorable neon necktie. 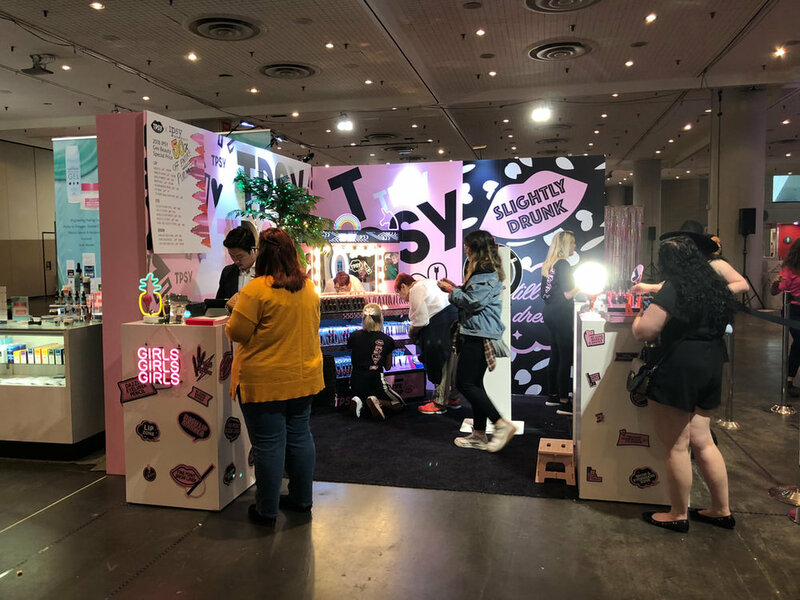 The next day marked the beginning of Ipsy Generation Beauty, open to thousands of ticket holders at the Javits Center. The day kicked off with an electrifying performance from In Real Life, a boy band on the rise. Attendees crowded the edge of the main stage to listen to the group’s catchy tunes. 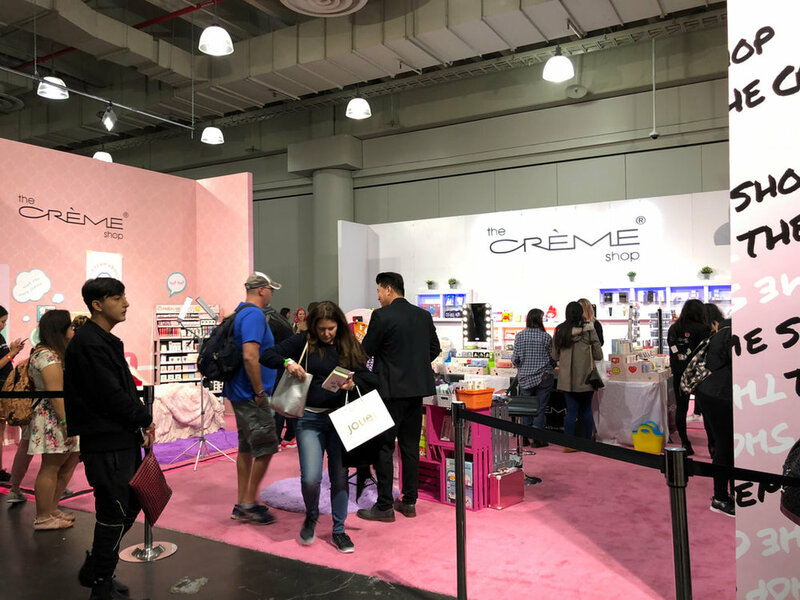 Throughout the weekend, there was a series of meet-ups at brand booths with renowned beauty influencers such as Kandee Johnson and Patrick Starr. 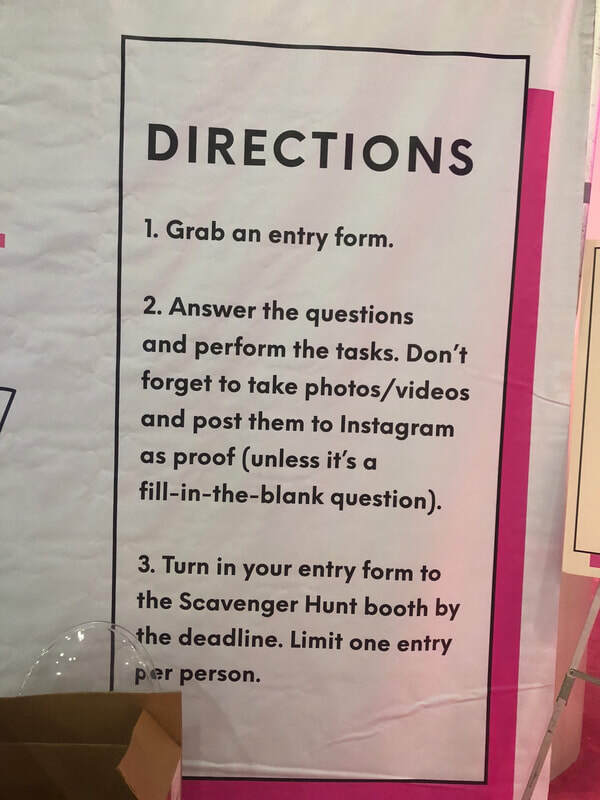 Additionally, each guest was invited to participate in a Scavenger Hunt, where they took pics of their favorite booths, shared the wisdom they garnered from panels, and more. It made the day all the more exciting! 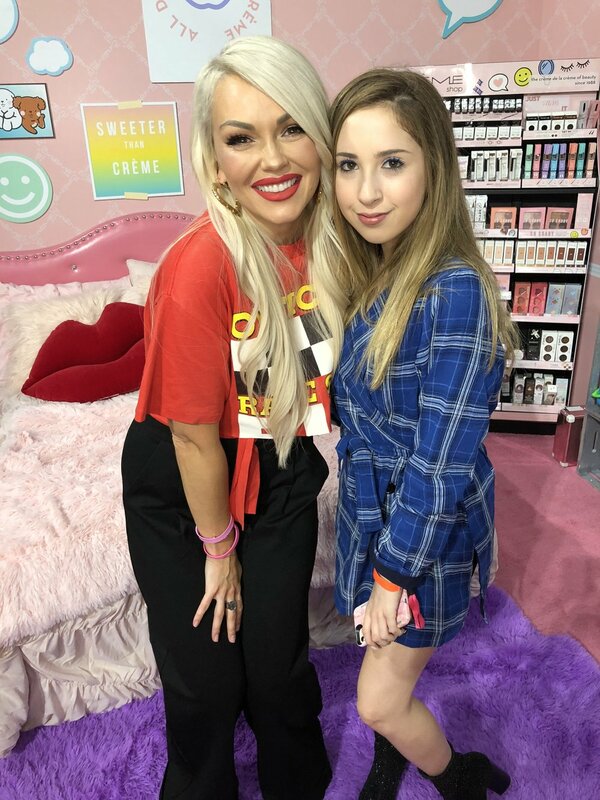 One of my favorite aspects of the event was the “Speak Pretty” wall. It was covered in lips that people could slip positive messages into, in addition to picking one up to read for themselves. The one I landed upon--“Just be yourself”--was a lovely reminder. 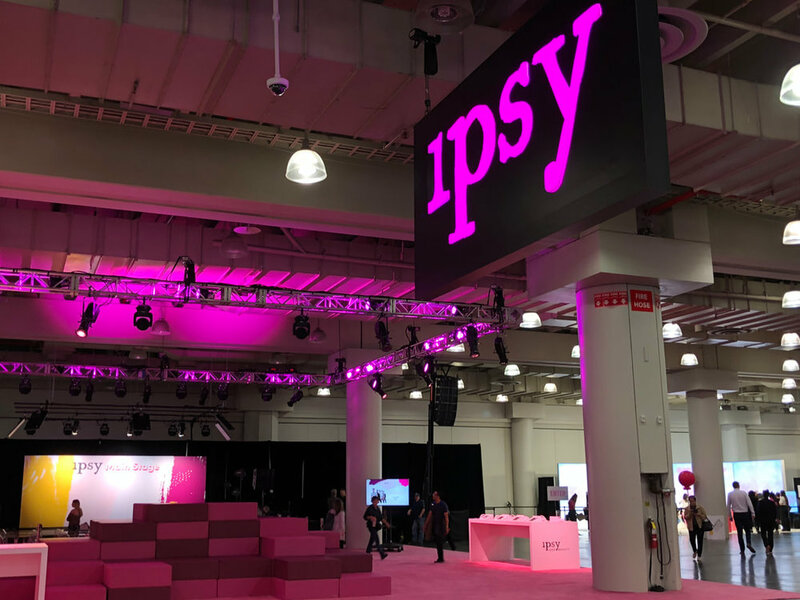 Leaving with goody bags galore, it’s safe to say that Ipsy Generation Beauty was a success. However, it also marked the start of a major struggle: counting down the endless number of days until next year’s event.